Green Tea is a powerful anti-oxidant and anti-bacterial ingredient that targets problematic skin, balances and improves oily and dry conditions while reducing redness. Green Tea also protects from free radicals to prevent further skin damage, this treatment results in softer, supple skin with a youthful glow. 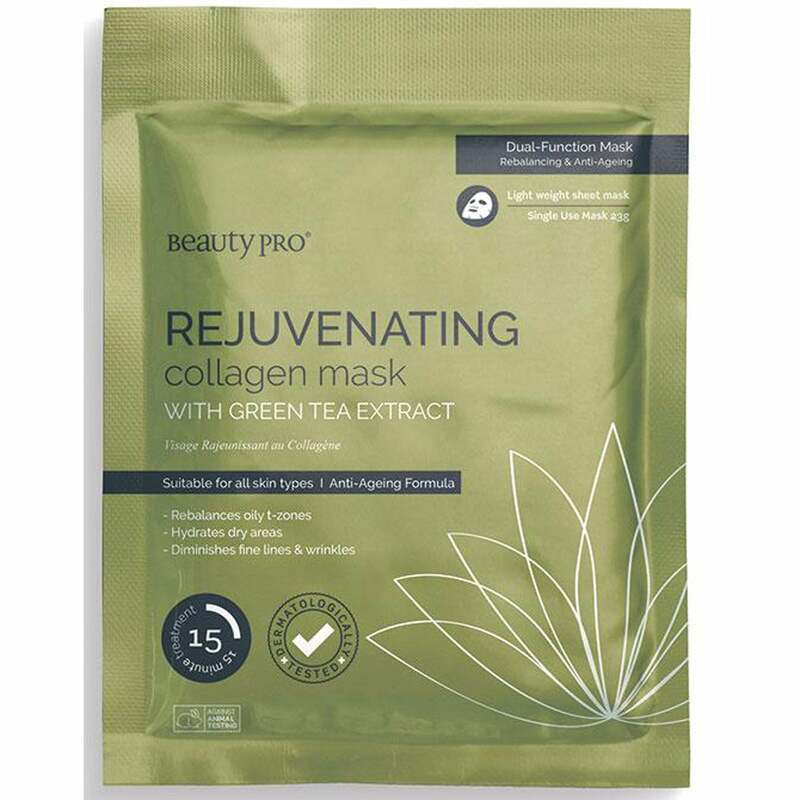 Cleanse the skin with the BeautyPro DETOXIFYING mask, remove mask from packaging, unfold and place on face wear for 15-20 minutes, remove mask, there is no need to rinse your skin, excess serum can be applied to neck and décolletage.